Dubai’s most iconic culture destination, the Dubai Opera has become an integral figure in the city’s performance art scene in a little over two years. The grand structure, designed in the image of a dhow, has been host to a roster of the world’s most esteemed musical productions, performers, orchestras, ballet and theatre troupes, comics, operas and more. It shares story after spectacular story – some contemporary, some classics, some heard across the world and some foreign to most ears. This year, Dubai Opera promises the same breadth of talent as those before it, inviting audiences from the UAE and abroad to venture into the multifaceted universe of art. 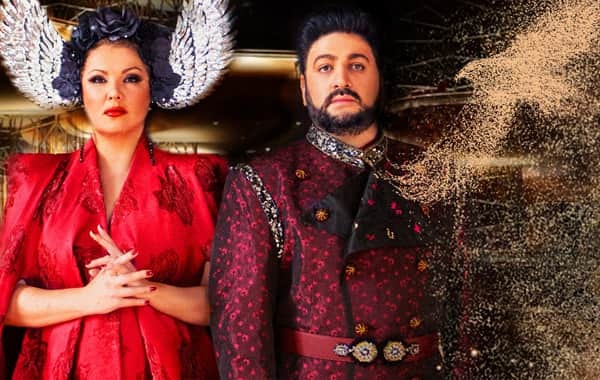 The venue will host 24-year-old Jake Bugg, hailed as the new Bob Dylan, just ten days before a breathtaking operatic concert by prima donna Anna Netrebko and Yusif Eyvazov. Attend tributes to music legends of the world, whether it’s French songstress Edith Piaf or Egyptian actress/singer Umm Kulthum. Honour the destination’s namesake with a lighthearted operatic libretto, The Merry Widow, or witness the expertise of trained dancers from the American Ballet in March. Irish rock ‘n’ rollers Hothouse Flowers will kick off Paddy’s Day in the desert, or you can class it up with Anna Fedorova, a young piano sensation, as she takes over Dubai Opera’s Music in the Studio series. The Dubai Opera experience doesn’t start and end with the performances. Through and through, the venue sets up a series of moments to inspire and awe. You can take a tour of the site – even backstage – or try Dubai Opera's The Loft, an experiential dining spot located on top of the venue. Given its prime location in Downtown Dubai, the venue opens you up to the city’s top restaurants. Dine on top of the world at Burj Khalifa’s At.mosphere, located on the 122nd floor of the record-breaking tower, or head to the Armani hotel, which is home to an exquisite selection of fine dining destinations perfect for gourmands, from Armani/Ristorante to Armani/Amal and Armani/Privé. Whether you live in Dubai or are just visiting, Dubai Opera should be on top of your to-do list. From its world-class architecture to its calendar of shows, the venue sets a global standard for entertainment and culture. Stay tuned to Dubai Calendar for more information on upcoming shows.